Jason Michaels knows second chances are very much a part of “happy ever after.” He’s seen it firsthand, more than once. So when will it be his turn? He has a great group of friends and family to share his life with, but he knows there is one thing still missing. 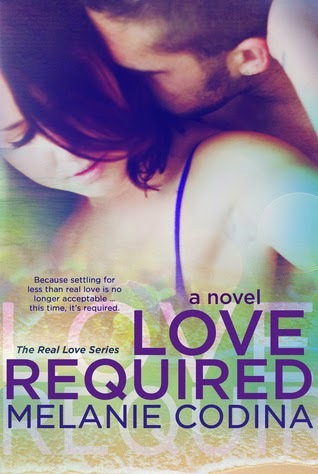 Love isn’t something he’s been avoiding, he just hasn’t found it yet… or has he? Tori Peterson has made mistakes in her life, but they all pale in comparison to her marriage. Luckily, she’s a woman who quickly learned from her mistakes. Doing everything in her power to escape the man who promised to cherish her, she builds herself a life she can be proud of. Never again will she be fooled into being with a man who she might love. She knows she has too much to lose. Her hope? That she will recognize real love when she finds it. Her fear? That her past will catch her before she has a chance to find the love she deserves, the love that is required … So what happens when her hopes and fears catch up to her at the same time? Melanie is an amazing mother of four, an awesome and tolerant wife to one, and nurse to many. If you don’t believe her, just ask anyone in her family, they know what to say. She is also a devoted chauffer, the keeper of missing socks, a genius according to a six year old, the coolest soccer uniform coordinator according to a twelve year old, and the best damn ‘mac-n-cheese-with-cut-up-hot-dog maker in the whole world. Well that last title isn’t really official, but it’s still pretty cool to be called it.